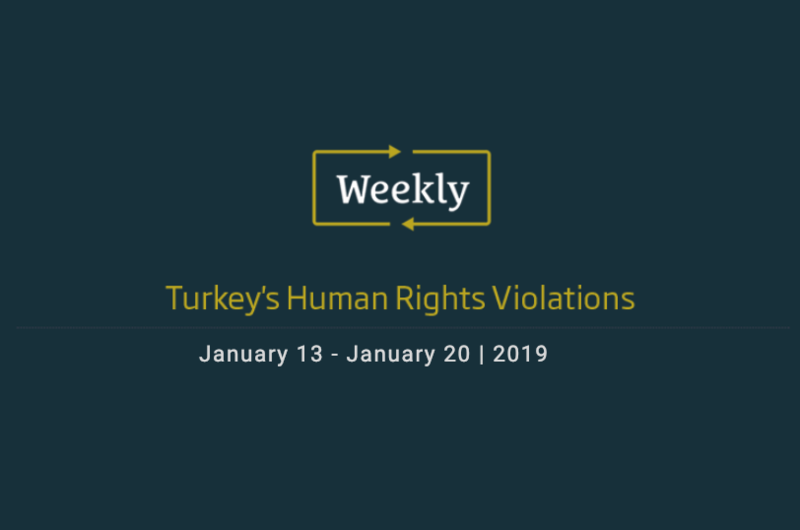 23-“Will Turkey’s horrible human rights record extend to 2019? 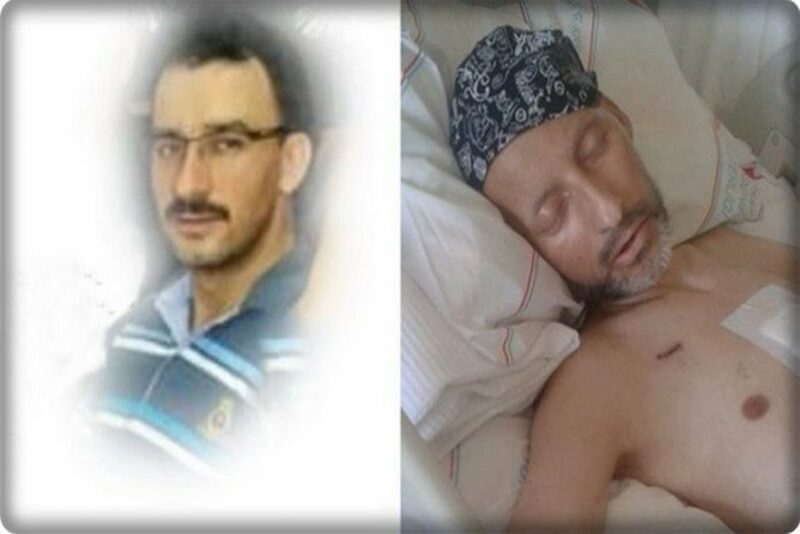 Mehmet Ozbir, 41, died of cancer shortly after he was released in prison, adding to an already growing toll of deaths took place when authorities refused to released terminally ill prisoners in the aftermath of the 2016 coup. The health condition of Ozbir, a businessman of modest scale from Alasehir district in the western province of Manisa, steadily worsened in recent months. He was imprisoned as part of a sweeping crackdown on people affiliated with Gulen Movement in the aftermath of the coup attempt. The businessman was imprisoned in pretrial detention for 17 months before his release. The denial of proper medical treatment and the refusal by authorities to release him on time only exacerbated his situation. One of his arms was amputated because the medical treatment was provided so late. When his health state worsened, the prison officials agreed to his release to avoid any responsibility in the case of his death. Despite efforts by doctors in recent weeks, Ozbir succumbed to worsening cancer in the hospital. His death reveals an acute problem in Turkish prisons. There are tens of people who died because of denial of access to medical treatment in prison. Ozbir’s case is only the latest example in this regard. Ozbir was imprisoned over an anonymous tip and for his membership in ASIAD, a non-profit business organization affiliated with Gulen Movement in Alasehir. Professor Sabri Colak, who was sentenced to 7.5 years in prison over links to Gulen Movement, died at age of 69 in a prison in the eastern province of Van in Turkey. The professor, who was remanded in the sweeping post-coup crackdown targeting real and perceived sympathizers of Gulen Movement, had heart problems. Despite numerous attempts by his lawyer and family for his release to get a proper and adequate medical treatment, authorities refused to free him. He was recently convicted of being a member to a “terrorist organization,” after months of imprisonment pending trial. The Turkish government labeled faith-based Gulen Movement as a terrorist outfit and placed the blame on the movement for the failed July 15 coup attempt in 2016. More than 150,000 public servants have been either dismissed or suspended from civil service over alleged ties to the movement in the aftermath of the coup. The purge hit hard Turkey’s academia as well. Colak retired after decades of service in Ataturk University Engineering Department in the eastern province of Erzurum. He will be laid into rest in his hometown of Pasinler, a district of Erzurum. His death was the latest of a series of deaths in Turkey’s prisons. More than 70 people have died either of torture of lack of medical treatment as authorities frequently ignore medical reports about terminally ill prisoners. Recent reports from the Journalist and Writers Foundation in Turkey and the Stockholm Center for Freedom have estimated the number of women in Turkish prisons is a staggering 17,000 along with over 660 children. Official records indicate that 23 percent of these children are infants less than a year old. Dr. Alan Mendoza, executive director of the Henry Jackson Society (a British foreign policy think tank) said “prison is no place for children in any civilized country”. These reports have questioned the basis for the detainment and imprisonment of these women, as well as the timing of their arrests, in some cases shortly after giving birth. Many of these women have been held without charges being pressed and without access to legal representation, and in some cases, access to their family. Reports from within Turkey have shown images of security officials waiting outside hospital rooms for mothers to be discharged in order to detain them and their newborn children. With the critical need of preventing bacteria during a child’s first months, questions about the conditions of the prisons where these women are held with their newborn children have also arisen in numerous media reports. Since “extra food, books, phone calls, trips to the hospital, and bathroom supplies are all added to inmates’ prison bills” some women with poor financial situation cannot afford basic hygienic items such as sanitary pads (which they are not provided). The prison conditions are not satisfactory for the well being of women, and especially children. They are forced to stay in overcrowded rooms, denied health care, missing fresh air and have to share bed and meal. Many inmates sleep on the floor. Human Rights Association (IHD) has stated that in Turkey, 1025 prisoners are in poor health, 357 of which are seriously ill. Nonetheless, at a parliamentary hearing, it was revealed that at least five women have suspiciously died at the women’s prison in Kocaeli’s Gebze district . We wholeheartedly condemn this violation of basic human rights of not only the imprisoned women but also these children who are being subjected to a life behind bars without cause. Isa Kara, 54-year-old, has worked 34 years as a teacher and director of Ministry of National Education’s Manisa provincial directorate. He was fired from his job with a decree issued by the Turkish government after the alleged coup attempt in July 2016. Kara was imprisoned in October 2016 on coup charges. Despite his illnesses, he was held in pre-trial detention for 29 days and later transferred to Manisa prison. Kara is partly paralyzed and suffers from serious heart problems. Kara’s doctor had indicated that he needs to stay away from stress due to his heart problem. In an e-mail, it is claimed that two months before he was put in pre-trial detention, he had his first Angiogram. On April 12, 2018, he was transferred by the prison management to İzmir Katip Çelebi University Hospital where he had his second Angiogram. After spending 45 days in the hospital, he was sent back to İzmir Buca F Type Prison. Kara’s family submitted 15 requests for the release of Isa Kara due to his health condition, however, all of them were rejected. The prison conditions are not satisfactory for the well-being of Kara. The prisons are overcrowded and are not sanitary for such a seriously ill patient. Kara’s doctor has noted numerous times that Isa Kara is not receiving proper treatment under current prison conditions. Mr. Kara is being accused of membership in the Gülen movement, accused by the Turkish government of masterminding a coup attempt on July 15, 2016. The movement denies any involvement, and the Turkish government has rejected parliamentary motion to investigate the coup. Right after the coup, without any just hearing, the Turkish government initiated a widespread purge against the sympathizers of the movement. There have been many cases of suicide and death in prison, some of which were found to be suspicious, of people who have been affected by the purge of Gülen movement followers. Isa Kara’s family is in the apprehension of severe worries about his health condition as they reminisced about the victims who died for they were not given proper and necessary treatment and were supposed to be given parole due to fatal conditions in jail. 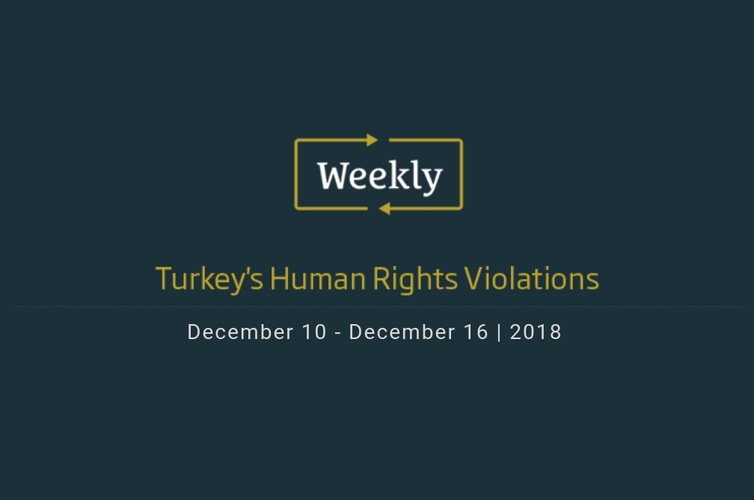 For more detailed information about the prison conditions in Turkey, please take a look at the report prepared by Platform for Peace & Justice titled “A Comprehensive Report on the Prison Conditions in Turkey”. We urge international bodies and human rights organizations to take all necessary steps to request for pending trial to be taken into consideration due to Isa Kara’s health condition mentioned above. As you are aware, recent reports from the Journalist and Writers Foundation in Turkey and the Stockholm Center for Freedom have estimated the number of women in Turkish prisons is a staggering 17,000 along with over 660 children. Official records indicate that 23 percent of these children are infants less than a year old. Dr. Alan Mendoza, executive director of the Henry Jackson Society (a British foreign policy think tank) said “prison is no place for children in any civilized country”.